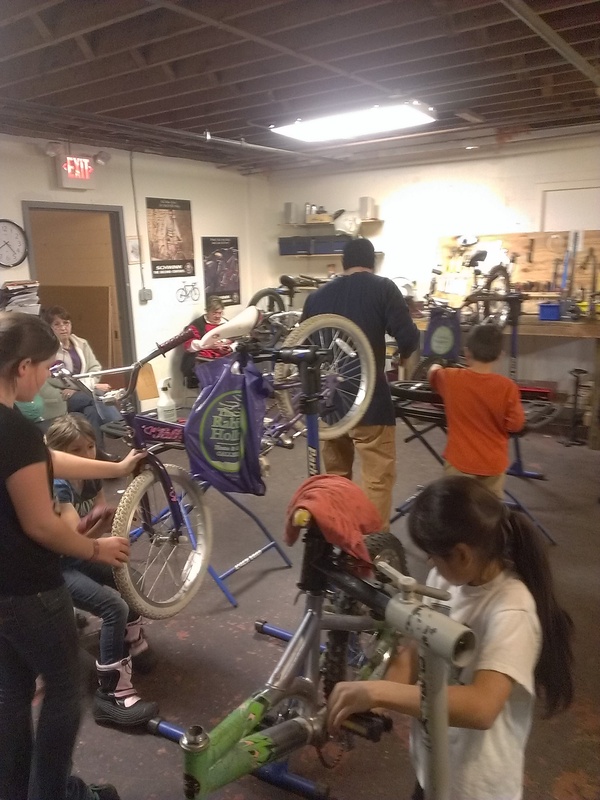 The Nasson Community Bicycle Center was filled with kids and and supportive adults fixing bikes last Wednesday. Flying wrenches, globs of grease, and the yellow handled pin spanner making its way from one bottom bracket to the next. We will be closed Christmas week (December 24,25 and 26) and also be closed Tuesday December 31 and Wednesday January 1st. We will be open Thursday January 2nd, then resume normal a schedule the following week. 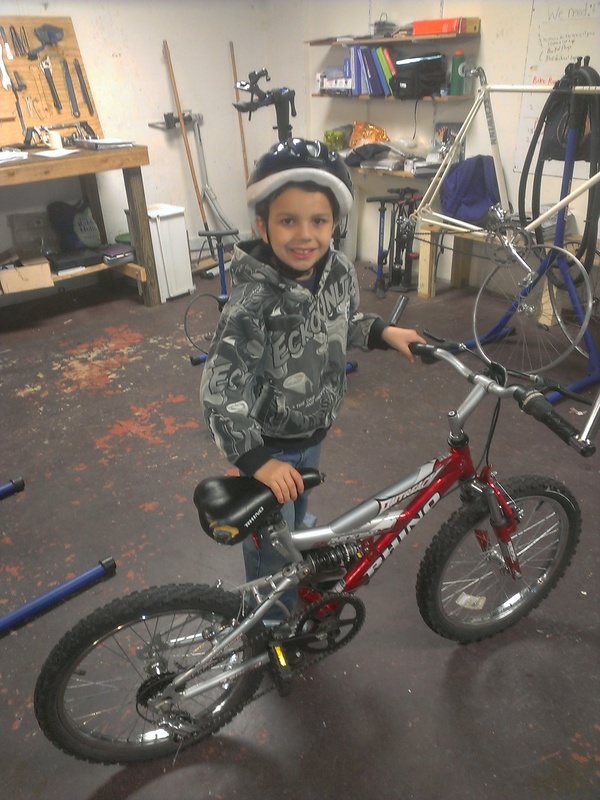 Noah decided it was time for a new bike and he rebuilt this nice mountain bike with the help of Jeff, our long-time super mechanic. Enjoy your ride Noah!